Cannabis, like many plants, matures as the seasons change. 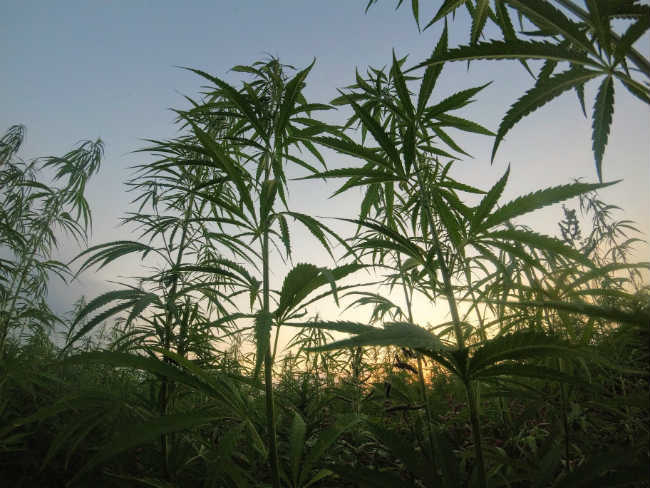 When light cycles shorten and light waves lengthen, cannabis plants are prompted to produce flowers or seeds in preparation for the next generation of plants. This happens naturally outdoors as the summer months come to an end and the days get shorter; when the earth begins to turn away from the sun, different light waves penetrate the atmosphere. 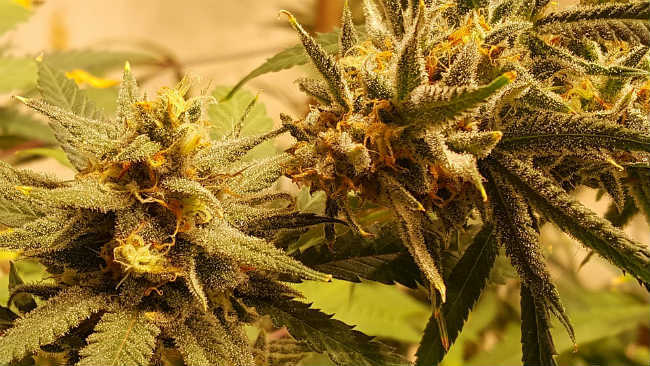 When it comes to growing cannabis indoors, cultivators must carefully manipulate their plant’s photoperiod (the amount of light versus dark hours) to achieve the same results. Photoperiodic plants, or plants that respond to light cycles, detect changes in lighting duration and quality through photoreceptor cells, most often those that pick up red and far-red lights. These photoreceptors play an important part in the plant’s ability to generate and degrade special proteins that signal them to mature into flowering plants. This, in addition to the plant’s natural circadian rhythm, helps ensure that the plant either flowers or produces seeds based on the changing of the seasons. All phototropic plants can be placed in one of two categories: long-day plants like peas and spinach (which flower when the days are long), and short-day plants like rice and cotton which require shorter days to flower. Most cannabis plants are short-day plants which means they need 12 hours of darkness to begin flowering (auto-flowering plants are the exception. We’ll discuss this in more detail later). In the northern hemisphere, short-day plants flower naturally between the months of September to November while the southern hemisphere experiences short-day flowering between the months of February to April. Interestingly, studies show that it is the amount of darkness the plant receives (rather than the amount of daylight) that determines when it will mature into a flowering plant. This is why even the slightest interruption during dark hours could cease flowering or, more commonly, stress a flowering female into producing seeds. But indoor growers do not have the luxury of allowing Mother Nature to take the reins. Instead of allowing the plants to grow and mature on their own based on the changing seasons, indoor cannabis growers must manipulate their light cycle on their own, usually with the help of timers and special indoor grow lights. Many cannabis grow lights are designed to mimic the type of light they would naturally receive outdoor during the various times of the season which can include varying wavelengths of light for the different phases of the grow. However, for the plants to produce flowers, the light cycle must be carefully timed, as well. While seedlings fare well under constant light, vegetative plants should be kept under a light cycle consisting of no less than 18 hours of light. While some growers will leave their vegetative plants under constant light, it is believed that the healthiest and most bountiful plants receive at least a few hours of darkness within a 24 hour period. Signaling a cannabis plant to flower requires the light cycle to change to 12 hours of light and 12 hours of darkness – no more, no less. Though this happens naturally as the earth begins to tilt away from the sun, indoor growers must time it themselves. The easiest way to do this is with simple timers that plug in between the light source and the power source. These timers can be set to turn on and off at the same time each day to help reduce the chance of grower error. Please note that cannabis plants are very sensitive to light and must never be interrupted with light during dark hours. We suggest programming lights to turn on during regular daylight hours (when you’re most likely to be tending to them) and off during the hours that you will not need to access them. If you ever do need to view your plants during dark hours, use green lights only. The natural transition of light to dark is very subtle, brightening or dimming slowly as the sun rises or sets, which may add unnecessary trauma to the plants. To remedy the issue, some grow light manufacturers have created special lights that fade in and out much like the sun. This not only helps reduce trauma but also helps increase cannabinoid and terpene production while helping cut back on electrical bills. Though the “smart light” technology is young, it may prove to be the next best thing in cannabis photoperiod manipulation. Auto-flowering cannabis plants are unique in that they do not depend on a light cycle to signal when to flower. Instead, they flower on their own time, usually about two to three weeks after germination (average auto-flower seeds can be harvested in less than 13 weeks). Due to their short grow cycle, auto-flowering cannabis plants are a great way to reap multiple harvests in a single season, albeit a smaller harvest each time. Auto-flowering seeds are the product of genetic manipulation, specifically the crossing of a ruderalis cannabis plant with various indicas and sativas for flavor, potency and output. Whereas ruderalis cannabis alone produces a rather scraggly, unattractive plant with low THC levels, when combined with the genetics of other cannabis strain types, it creates a dwarf version of its indica and/or sativa parents that flowers in half the time. This makes auto-flowering cannabis plants especially attractive for people growing in small indoor spaces or patio gardens that hope to harvest twice each grow season. Growing cannabis indoors is an intricate process – certainly more involved than popping seeds into soil on a windowsill. In addition to the seeds or clones to get you started, you need the right grow lights, grow medium, grow space, and of course, the right light schedule to see that your cannabis plants flower on time, every time.